Nicolas Jaar has graduated– at least from the trappings of any young electronic music producer (his graduation from Brown University is 18 months away). Four years after his debut on the Brooklyn label Wolf + Lamb, and the much lauded follow up ‘Time for Us’, whose glacial slow-jam take on house sent journalists scrambling for adjectives, the 20 year old New Yorker by way of Chile returns to Circus Company with Space is Only Noise, an uncompromising manifesto on traces of the past, love lost, and specters of the future. Having previously contributed to the catalog twice with his ‘Marks and Angels’ EP as well as the sublime ‘Your Waltz’ on the Snuggle and Slap compilation, we are delighted to present his first foray into the realm of the long player. Jaar has made it quite apparent over the course of his nascent catalog and increasingly sought after live sets that challenge is an intrinsic part of his creative discourse. Few are the producers of any age with the cohones to ride a sub-100-bpm tempo at peak time in the techno Mecca of Berlin, and fewer still are those who receive an ecstatic hands-in-the-air response for their precocious efforts. It is precisely this sense of risk which elevates Space is Only Noise beyond the realm of valiant first effort or crossover dance music oddity. Those looking to wade through the sea of Jaar’s potential influences will quickly find themselves in the deep waters of golden age Factory records, home spun digitalism of Mille Plateaux, Endtroducing era DJ Shadow and Eric Satie. Jaar gently coaxes his listener into the experience from the opening sounds of rolling waves on ‘être’, but quickly transitions into the sophisticated percussion and meandering melodies that characterise his sound. Jaar seeks, and often finds, beauty in melancholy on the first few tracks of the album. As the album begins to accelerate with ‘Too many kids finding rain in the dust’, Jaar confronts us with the often forgotten reality that our sadness is not mutually exclusive from the dance floor. Suddenly, on ‘Keep me there’, Jaar’s voice appears over the delicious, rumbling melody. “We’re in a really bad bed, right?” he remarks. “Mm– it’s not really a bed. It’s like a balloon” responds a sultry female voice as they both crumble away in laughter. Though your hips stir to the relentless bassline and the sexiness of the voices, your heart is jolted out of its luxurious malaise when horns erupts seconds later. “How can you talk about a landscape without showing the sky and the earth?” a voice asks, translating from the French on ‘être’. So Jaar concludes, revisiting the same track to end the album. Complete landscapes such as these are only realised in contrast- the indulgent against the reserved, the sky against the earth; lightness and darkness. 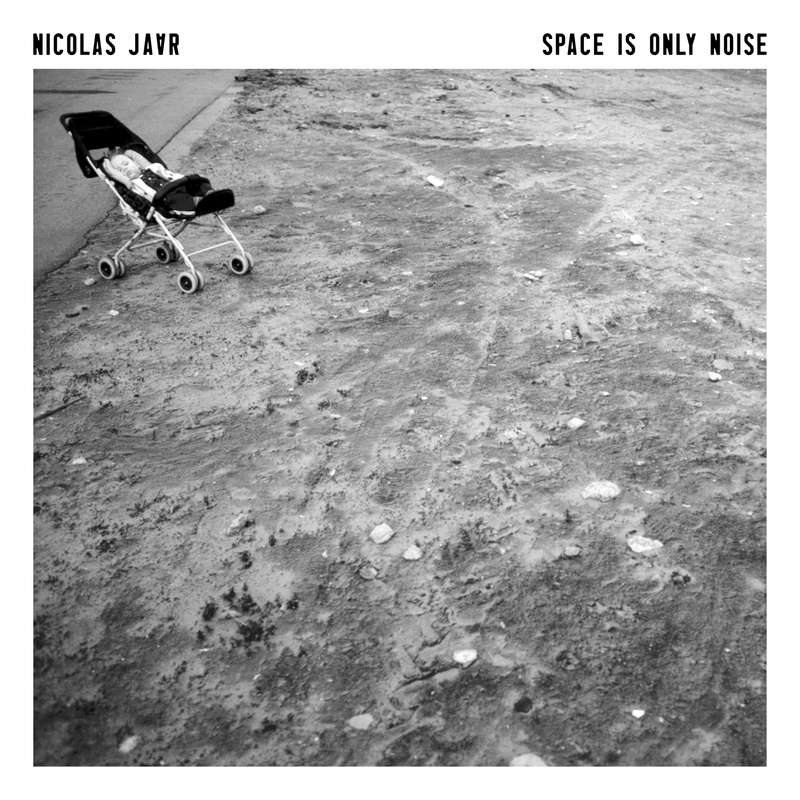 Space is Only Noise is a tour de force with few modern equals, and a great sign of things to come from one of electronic music’s most exciting producers.